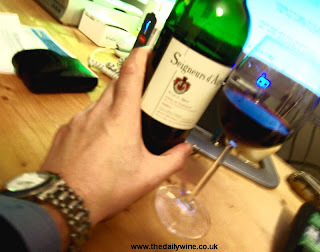 I am becoming more than just friends with an excellent, elegant Bordeaux Satellite, Seigneurs d'Aiguilhe '04, a convincing, restrained example of well-policed winemaking held tightly within smart packaging. I spent today assembling samples for tomorrow's wine course. 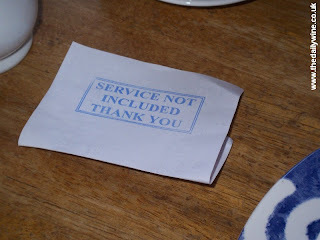 Heading towards 'Burwash Fine Wines', which seems to specialise in the areas of Argentina, Italy and Burgundy, I took a pit-stop at nearby tea rooms where I was greeted by an excretion of of child-hating signage (no wonder the UK is low in the league for bringing up kids!) 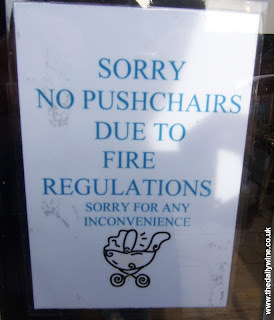 Ironically the main clientele for that establishment appeared to be under 5's! 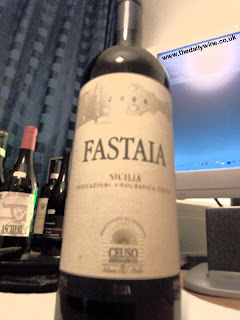 Anyway, I am very much looking forward to uncorking the curious Fastaia '00 from Sicily, a blend of Nero d’Avola, Cabernet Franc and Merlot which I was steered to by wine buyer/director Jason (who for some reason I want to call Charlie). He speaks Wine almost linguistically. 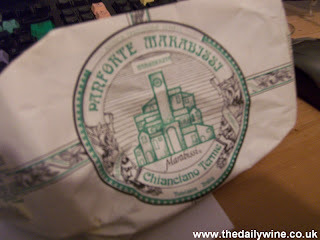 An adjacent deli provided me with a fix of 'Panforte', the vivid cinammon scented halva/nougat-style circular biscuit from Tuscany. 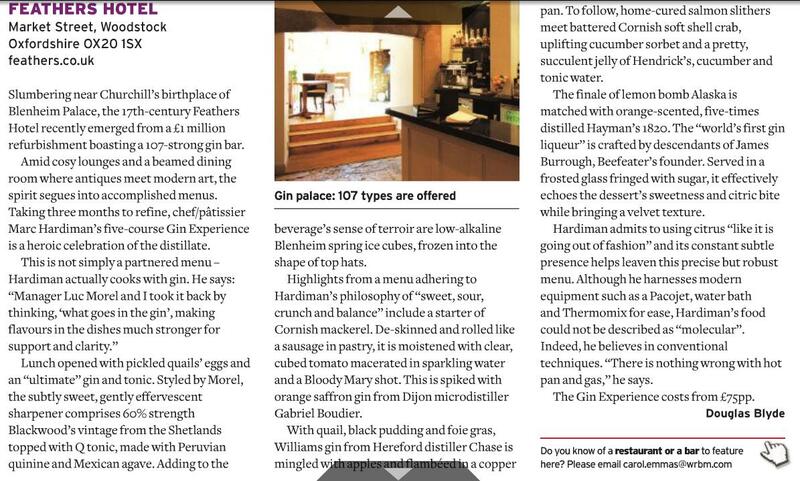 It worked well with the leftovers of Chapel Down's Extra Dry (in actuality meaning slightly sweet).